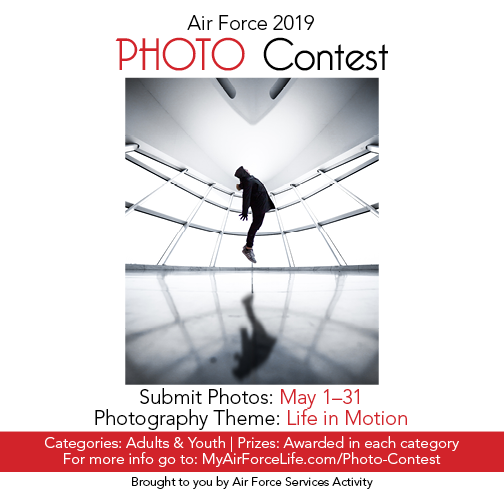 Want to make the most of your Niagara Falls Air Reserve Station experience? You’ve come to the right place! Here you’ll stay in “The Loop” with the community & FSS. NiagaraFSS is your best place to stay updated with base events and community involvement. The 914th Force Support Squadron activities and services, are available to anyone with access to Niagara Falls Air Reserve Station. For more information please contact the NiagaraFSS Marketing Department at 716.236.3061. To find contact information and hours for FSS facilities please visit the 914th FSS Contact Page. Each Squadron will enter a team of 4-7 players. The players do NOT have to be the same for each month. Points will be earned by each squadron over the 3 months and will be added together at the end. The squadron with the HIGHEST 3 month total will be the Trivia Challenge champs! The winning Squadron from BOTH Wings receives a FREE Social Hour Event on the Falcon Club Patio on Saturday, 1 June. OR grab a friend or two to play on your own against the squadrons! Only squadron teams are eligible for the FREE Social Hour Event reward. DJ Trivia WNY will be putting on the event. This will be a FUN, Live, Interactive Trivia Game! 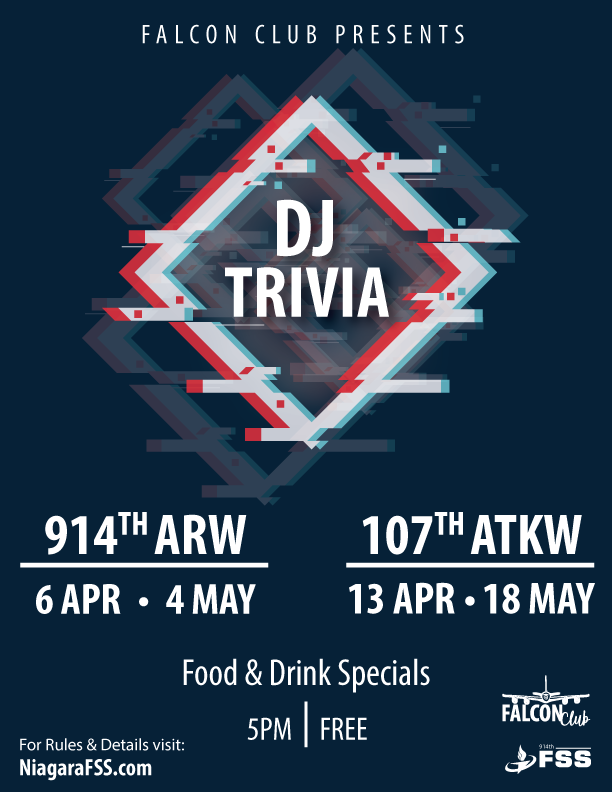 Involve yourself, your squadron and other squadrons to a live DJ host while you play on screen trivia against one another! P.S. Food and Drink Specials! Hop on over to Niagara Falls Air Force Reserve Station for an EGG-stravaganza! 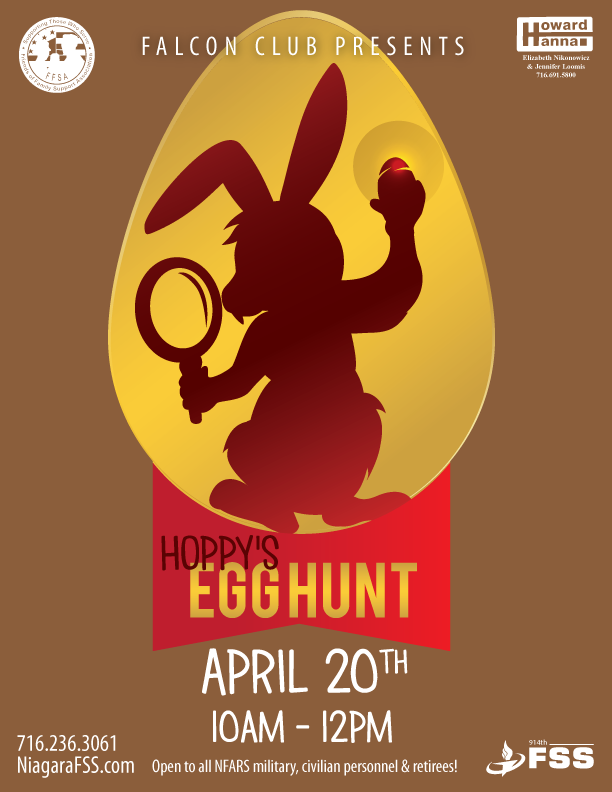 The Falcon Club is hosting Hoppy the Bunny’s annual EGG HUNT. The Egg Hunt will take place Saturday, April 20th from 10am – 12pm. Kids can enjoy balloon animals, face paints, water coloring & other crafts! Open to all current NFARS military & civilian personnel, and retirees! This three day event is packed full of activities! 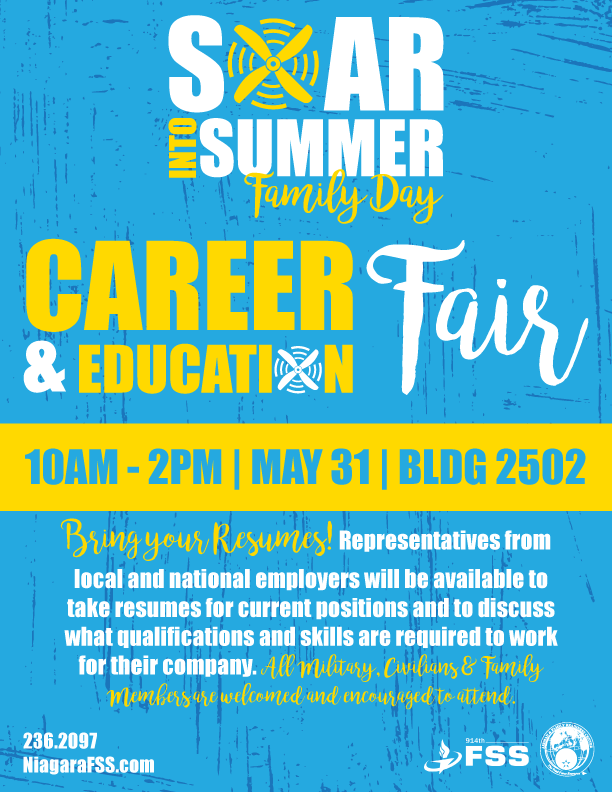 Starting strong Friday, May 31st, at 10AM is Airman and Family Readiness Center’s Career & Education Fair. Make sure to bring a resume because the vendor’s coming out are hiring now! 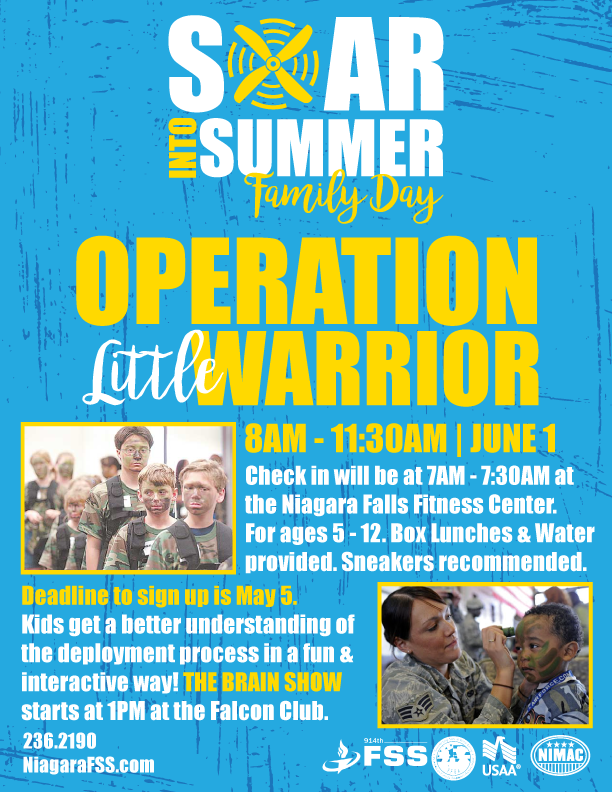 The next day, (914th only as of now) Saturday, June 1st, at 8AM is Operation Little Warrior. It’s a program designed for kids to get a better understanding of their parent’s deployment process in a fun and interactive way. Make sure to sign up your kids by May 5th. Check in will be at 7AM – 7:30AM the day of the event. Following Operation Little Warrior is The Brain Show at 1PM at the Falcon Club. The Spouse Appreciation Reception will be Saturday, June 1st as well. Time is TBD. In the evening, the Falcon Club presents Dinner & Dueling Piano Show! Sunday, June 2nd is the final day of our Soar into Summer Family Day. Featuring a Cadence Run, Warrior Challenge, Kid Fun Run, and the Family Picnic. Times are TBD. 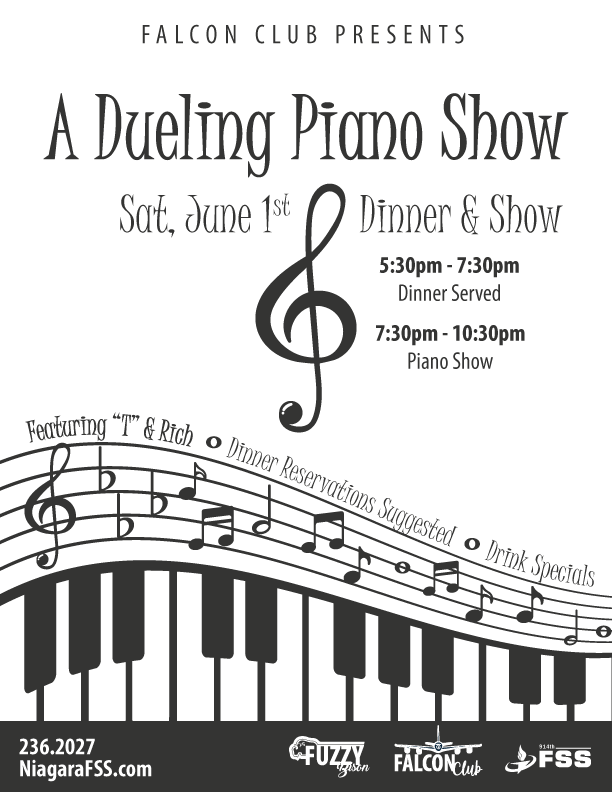 Saturday, June 1st, the Falcon Club presents A Dueling Piano Show! Featuring the Piano Team, “T” and Rich, all the way from Cleveland, Ohio! Dinner will be served from 5:30pm – 7:30pm (Reservations Suggested). The Fuzzy Bison Menu will be available during the Dueling Piano Show which is from 7:30pm – 10:30pm.. It will be first come – first serve on availability. Drink Specials will be available. Come Sing-A-Long!